A CHRISTMAS CAROL: A LIVE RADIO PLAY is a classic given a new twist - a signature concept of MTC. 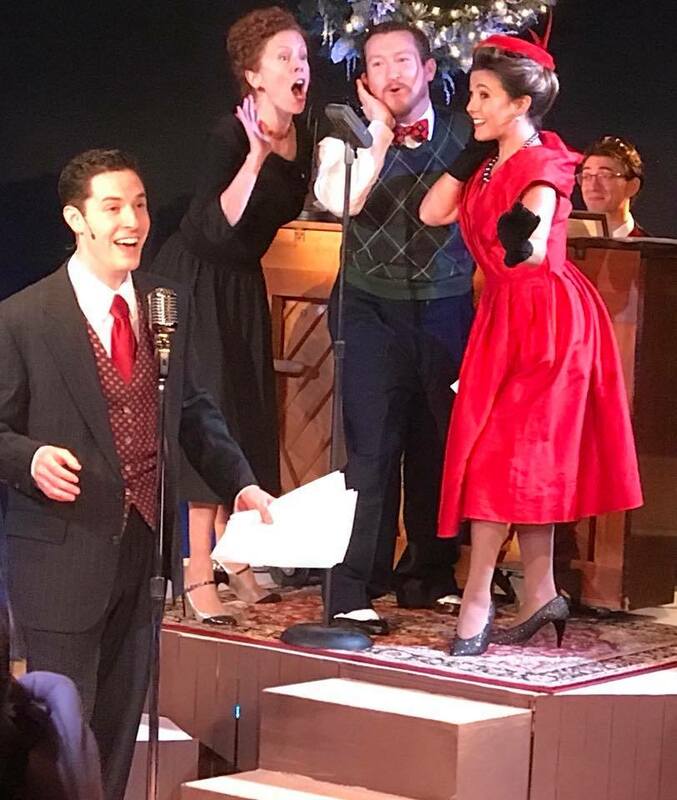 In "A Christmas Carol: A Live Radio Play", Charles Dickens’ immortal tale comes to life during a 1940s Christmas Eve live radio broadcast, featuring live music and sound effects -- fun for the entire family! 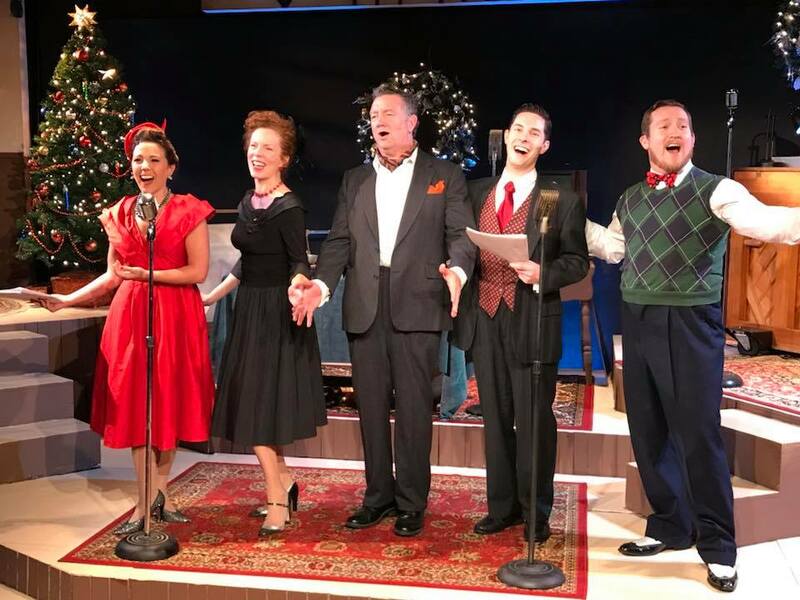 A new holiday tradition from the creators of "It’s a Wonderful Life: A Live Radio Play," one of the top ten most-produced plays in America. Have Your Holiday Event at MTC! Make it a family affair! 4 Tickets for $95 for the December 16th matinee performance of A Christmas Carol: A Live Radio Play at 4pm. There will be a pre-show reception at 3 pm with holiday refreshments and a opportunity to meet the cast after the performance! visit the family group page for more information. Groups of 25 or more can take advantage of MTCs Holiday Special Group Package. This includes Tickets to MTCs production of A Christmas Carol: A Live Radio Play for the date and time of your choice, an hour long pre-show reception in our studio with complimentary holiday cookies and refreshments, post show talk back with members of the cast and creative team. Visit the group package page for more information. Mike Boland (Freddie Filmore): Mike is thrilled to return to MTC as Christmas’ favorite grump. In 2015, Mike played Boolie in the MTC production of “Driving Miss Daisy.” Other credits include: BROADWAY: An Enemy of the People; OFF-BROADWAY: The Orphans’ Home Cycle (Drama Desk Award); NATIONAL TOURS: Twelve Angry Men, West Side Story, All My Sons; REGIONAL: Yale Rep, Hartford Stage, Long Wharf, Theaterworks, Playhouse on Park, Ivoryton, Music Theatre of CT, Summer Theatre of New Canaan, Fulton, Coastal Carolina, Virginia Stage, Judson, Engeman, Westchester Broadway, Queens Theatre, Bristol Riverside, Totem Pole. TV: Rubicon, Zero Hour, Person of Interest. WEBSERIES: Frank and Ernie (writer, director, co-star). Kaia Monroe (Lana Sherwood) is an Associate Professor and Chair of the Theatre Department at SCSU. Regional credits include Missouri Rep, Weston Playhouse, ArtFARM, the Fulton, Geva, American Stage Festival, Texas Shakespeare, Theatre 4, and the Kennedy Center. For the past two summers she was with the Yale Institute for Music Theatre. Recent directing and/or choreographing credits include Elm Shakespeare, Goodspeed New Works and Capital Shakespeare. MFA from University of Missouri-Kansas City, and post-graduate study at Dell’Arte School of Physical Theatre.